Inverters There are 24 products. 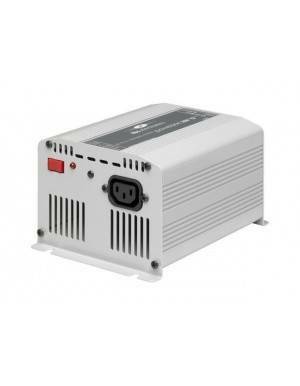 An inverter is an electronic device whereby people can transform DC power (from a battery or solar panels) to 230V alternating current usable for any regular use of a home or business. 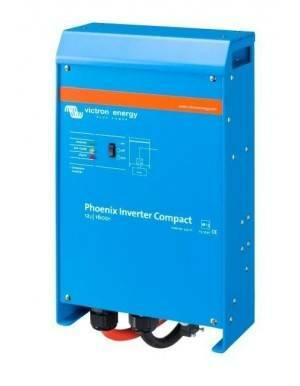 What is an Inverter for off-grid installations? 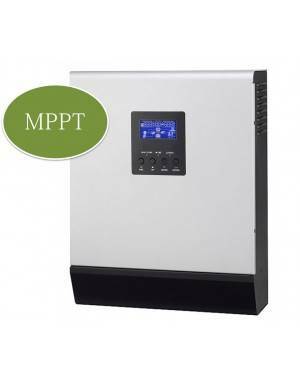 An inverter in an off-grid installation is responsible for converting the energy from batteries store energy in the form usable 230V AC electricity. It converts the DC electricity from batteries into electricity that can be used by all conventional electrical appliances of any home. 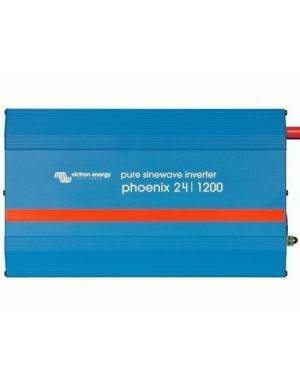 What are solar inverters for grid connection? 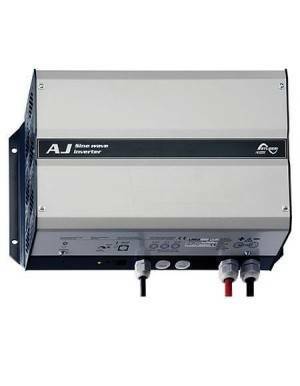 A solar grid connection inverter is an electronic device that allows feed into a power grid the energy generated by a solar kit. 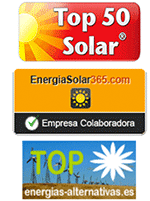 The solar PV module kit connects directly to the input of the inverter and this directly to the grid connection (with its mandatory protections), synchronizing with this to allow the feed in. 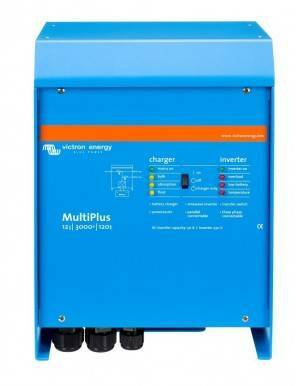 Generally according to its use they are divided into off-grid inverters or grid connected inverters. 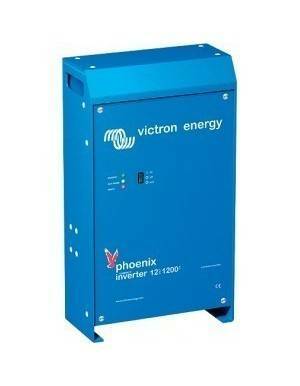 In isolated, inverter has a voltage of a battery bank (12V, 24V or 48V) to create the wave at 230V AC. 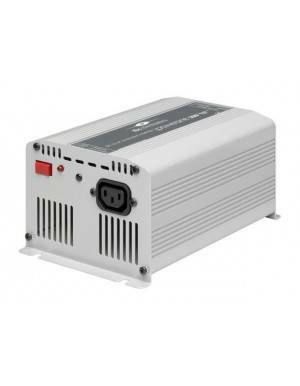 In the case of network connection, the input voltage is directly a set of photovoltaic solar modules, synchronized to the 230V mains. 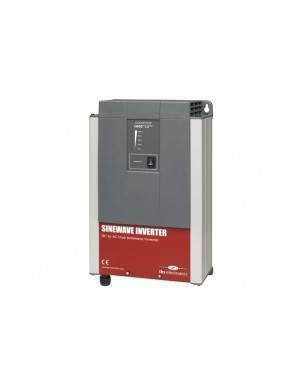 Furthermore, isolated inverters can be classified according to the quality of its wave inverters, modified wave or sine wave. The sine wave is the conventional network, and the modified wave is an imitation of this cheaper than can serve for less demanding some kind of electrical charge. As well they can also be classified according to the input voltage, 12V-230V, 24V-230V and 48V-230V. There is also another additional classification to incorporate more options. 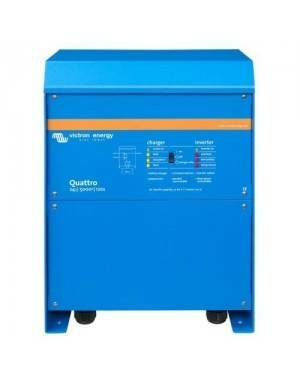 For example, if the inverter, as the same time as inverter, can be used as battery charger is called inverter charger. 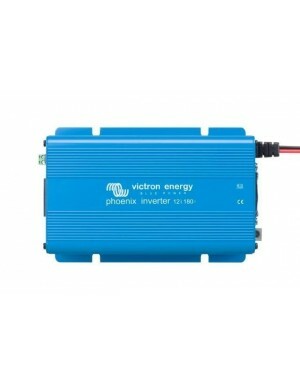 If it also incorporates the ability to connect to a network and loaded from this, it is called hybrid Inverter (because it is a mixture between isolated inverter and grid connection). An inverter can create our own isolated power supply usable for any device based on energy stored in a battery or directly from photovoltaic solar panels. Thanks to the investment, regardless of the electrical grid we can have our network in place we choose. An inverter network connection allows us to properly transform electrical energy from the sun (through solar photovoltaic modules) into usable energy in the grid. Whether inside our company or home or pouring it into the mains.